Have you ever been offended by lagging and screen tearing while playing games on your current monitor? Well, Monitors tearing and lagging has been a major issue for gamers around the world especially for Console Gamers i.e. 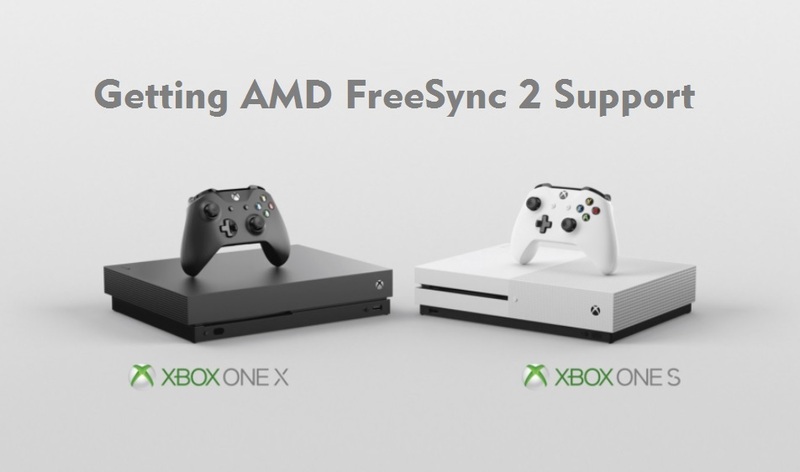 Xbox One X, Xbox One S and Sony PS4 but now console gamers should be excited because of Microsoft has now announced that AMD FreeSync 2 Support will be coming to Xbox One S and Xbox One X with its upcoming Xbox spring update. Back in 2013, Nvidia Introduces G-Sync technology with its latest GPU’s to remove tearing or stuttering usually associated with gaming on monitors and AMD followed the technology in 2015 by introducing its own version of the variable refresh rate trend in displays called Radeon FreeSync, the technology implement variable refresh rates to reduce input lag and screen tearing while gaming on monitors. The latest AMD FreeSync 2 Support for the Xbox One X and Xbox One S will allow compatible displays to sync refresh rates with Microsoft’s consoles to make sure gamers get smooth gameplay and advanced pixel integrity while gaming on Monitors. Along with the AMD FreeSync 2 Support for the Xbox One X and Xbox One S Microsoft has also announced to bring the low latency support for its consoles. The low-latency mode is AMD’s new API for FreeSync 2 that offers low latency on compatible TV displays that shift the higher latency workload to the Radeon GPU, allowing the game to tone map directly to the display’s target luminance, contrast, and color space. I think this is a great news for console gamers have been waiting for this support from Microsoft, Well, the AMD FreeSync 2 support for the Xbox One X and Xbox One S will definitely bring great improvements and smooth gaming experience to gamers around the world. Do let me know if you are excited about the new AMD FreeSync 2 support for the Xbox One X and Xbox One S in the comments section down below.